Anyone that is running a business online soon learns that they need to become involved in internet branding. Most businesses online have some level of competition. For a company to stand above their competitors they need to work on their branding. This is a little frustrating for the online business owner. They have so many tasks that come with their business where having to devote time to internet branding can be overwhelming for them. These few tips will help to make the process easier. One of the mistakes that many make with a new online business is not to focus on building a website. They will devote their attention to getting listed in business directories. Or they will focus on social platforms such as Facebook and Twitter. These are all important components in branding. But there has to be one central location to drive traffic to. This is where the website comes in. Also, the website sets the owner up for using the different branding components. Internet branding is all about consistency. No matter where one is making a presence online it has to be consistent. It means using the same colours and fonts that apply to the media being used. The logo has to be used as much as possible. It is often the visualisation that boosts the brand over and above any text that is being used. 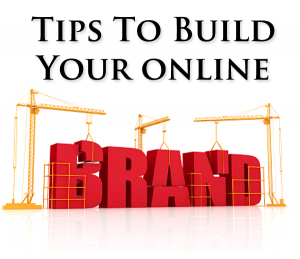 While one is building their brand, they also need to be building their credibility. This all begins with the various types of material that are used for brand building. If clients find the information that is being presented by the brand to be factual and trustworthy, then it builds the credibility of the brand. It makes the brand stronger. Everyone that is building a brand needs to work at their own pace and on their budget.